Reconditioned unit with new Saildrive Membrane fitted to unit. Saildrive Fairing Piece supplied with unit. 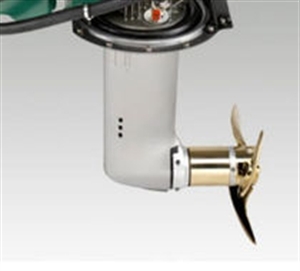 This unit is interchangeable with the lighter duty 130S on Volvo Penta D2 units. Clamping Ring 3586701 is not included in the sale of this part, however part can be provided at cost price if required by Customer. *Return to Base (RTB) Warranty provided limited protection against failure within 3 months of supply. RTB Warranty ensures that the Customer is entitled to 100% protection against parts and labour** (Supplied by Ropewalk) once a defective part or assembly is returned to Ropewalk Ltd in Lymington. **It is important to note that Ropewalk's warranty terms (for all parts supplied with a 3 month RTB warranty) limit Ropewalk Ltd to the price paid by the customer at the time of supply, less any carriage charges.